An Illustrated guide to viewing, understanding, and appreciating the rock art of prehistoric Indian cultures of Utah, the Great Basin, and the general Four Corners Area. This book is about the prehistoric rock art of canyon country, a subject that is proving to be fascinating to a great many people for almost as many reasons. 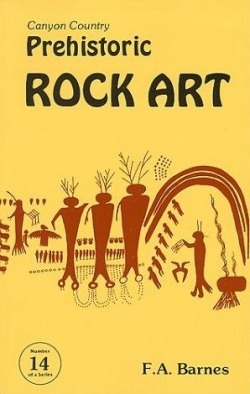 Rock art, both prehistoric and historic, is found throughout the West, and indeed throughout all of the Western Hemisphere, but for practical purposes this book has been limited to the two prehistoric American Indian cultures that occupied the least known and last explored region of North, America, the canyon country of Utah and the general Four Corners region. Paperback, c2000, 304 p. : ill. ; 14 cm.